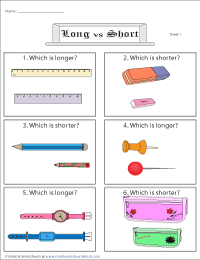 Long vs short topic is an early introduction to understand length concept. 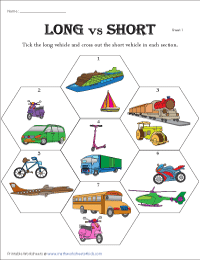 These worksheets are suitable for kids under preschool, kindergarten and 1st grade. A lot of themes were used based on animals and real world items. Each section has 2 reptiles. 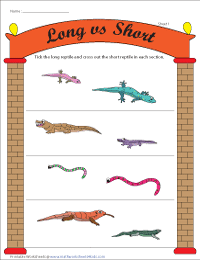 Tick the long reptile and cross out the short reptile. There are four sections in each worksheet. 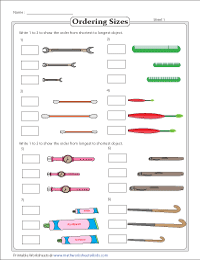 Each worksheet has 6 problems identifying longer or shorter objects used in classroom. Tick the long object and cross out the short object in each section. Each worksheet has different theme. There is a line segment drawn in each question. Draw another line either longer or shorter than the original one. 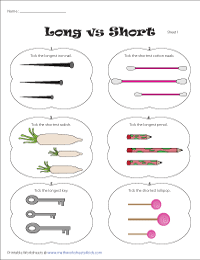 Another set of long-short printable sheets with different theme in each worksheet. There are 3 items in different sizes in each section. Tick the longest or shortest object. There are 2 sections in each worksheet. 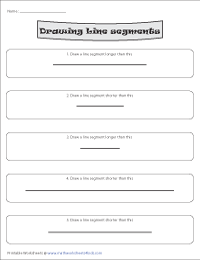 In first section, write 1 to 3 to show the order from shortest to longest objects. 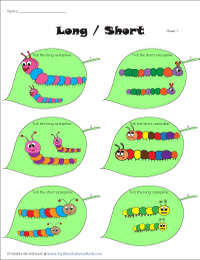 In second section, order from longest to shortest objects.